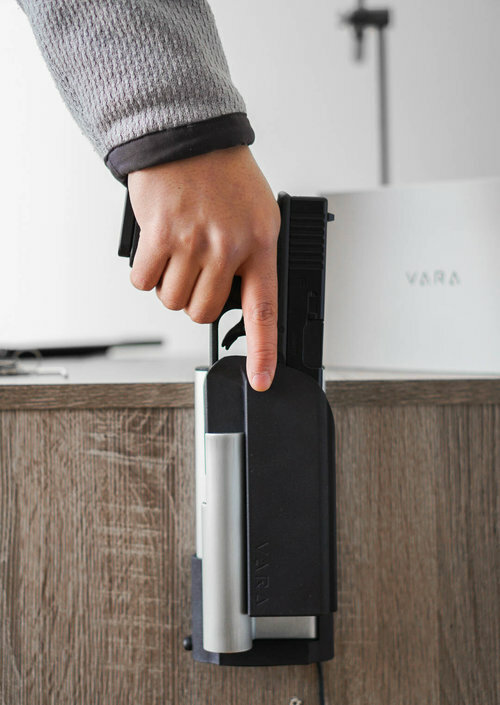 For more information on Vara Safety and their unique biometric firearms safe, Reach, visit www.varasafety.com. This entry was posted in Biometrics, Holsters and tagged Laura Burgess Marketing, LBM, Vara Safety. Bookmark the permalink.